Fernando Machado and Diane Rodriguez announced their pregnancy, on social media earlier this month. BOGOTA, Colombia — A couple in Ecuador are making history with a unique pregnancy: The father-to-be is carrying the baby of his transgender partner. Fernando Machado and Diane Rodriguez announced their pregnancy, believed to be the first of its kind in South America, on social media earlier this month, and it’s received widespread attention on a continent that has seen a sudden explosion in the rights and visibility of transgender people. Rodriguez, who was born Luis, is one of the most-prominent activists in Ecuador’s LGBT community and says she and her Venezuelan-born partner, whose birth name was Maria, decided to publicize the pregnancy to help change attitudes in the staunchly Roman Catholic society. Although both take hormones, neither has undergone gender-reassignment surgery, so the child-to-be was conceived the old-fashioned way with no known medical complications to date. So far, church leaders have remained silent, something that Rodriguez says both surprises and pleases her. “The church is always criticizing gays for adopting children, so it would be a contradiction to criticize us for giving birth naturally,” she said from her home in Guayaquil. 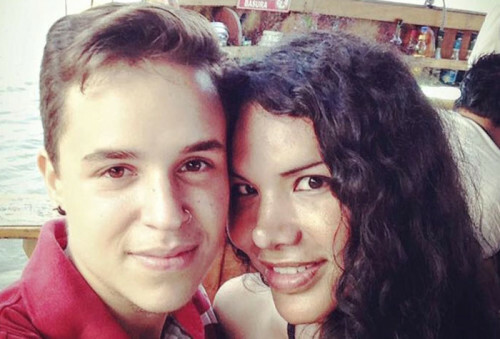 The transgender community has made major advances across South America. About six months ago, Colombian President Juan Manuel Santos issued a decree allowing individuals to change their gender on the national ID cards with little more than a trip to a public notary. To date, at least 340 people have made the switch. However, transgender people still face widespread discrimination in the region. Between 2008 and 2011, 79 percent of the slayings of transgender people globally took place in Latin America, according to the International AIDS Alliance.